Register for FREE, enter a username and your email address then click create account. check your email address in order to get your password for login. Click Post An Ad, follow the steps and you are done! Featured ads are attractive, highlighted, more visible, and always placed at the top of the normal ads which can attract more buyers! During the process of listing your ad, you will find the option featured listing, if you select it then your Ad would be considered as featured listing, but If you missed it out, no problem, you can easily do it any time you like. 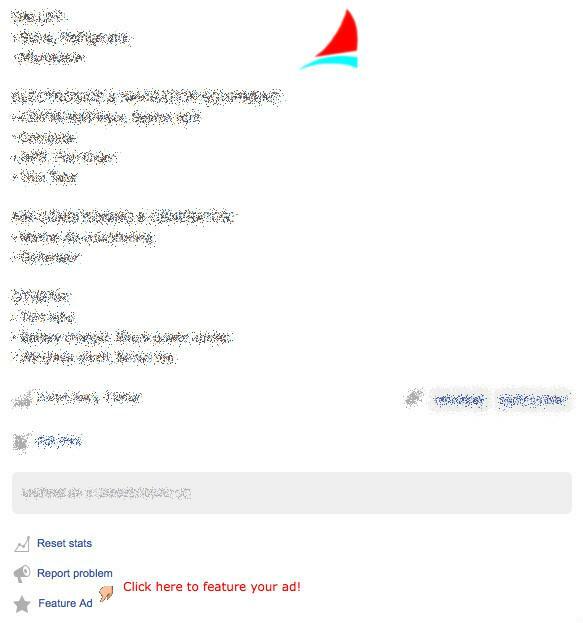 Login to your account/ Dashboard/ My ads/ click the title of the ad you want to feature/ scroll down you will find Feature Ad. * Featured listing validity depends on how long is your ad valid, e.g. if your ad is 1 month then the validity for the featured listing is 1 month, if your ad is 3months then the featured listing will stay 3month. We don't get involved in sales or commission, buyers can contact you directly, we are just a listing website! Customers can email you directly. (AED150) $41 (Optional). Increase the visibility of your ad by selecting Featured Listing option while you are listing your new ad, your listing will appear in homepage slider, highlighted and placed above the normal ads. We use PayPal the safer, easier way to pay online. All charges are in US$.